The number of home sales in New Jersey over the first 2 months of 2018 totaled more than 16,000, setting an all-time record. Still, the 2% year-to-date increase over the same period last year was the smallest recently. According to a report by the Otteau Group, the number of home sales has increased for nearly all price ranges this year, with the largest gain found in the luxury homes priced over $2.5 million. This report indicates that this group rose by 32%. This niche appears to have a distinction in common: they are primarily concentrated in towns with direct rail service to Manhattan. 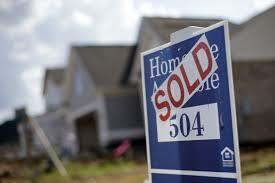 Sales for homes priced under $400,000 were basically unchanged and homes in the $400,000-$2.5 million range saw modest increases. The inventory shortage has brought the current levels down to those recorded back in 2005. Statewide, unsold inventory translates into 4.1 months of sales, according to the Otteau report, which is 10% lower than 2017. New Jersey Realtor total inventory for sale fell by 19% year-over-year. But what is even more alarming is the 23% fall-off in inventory from September to February. Bergen County for February is down to 3.9 months of inventory for single family homes and Hudson, Morris, Monmouth and Ocean County down to 4.4, 3.6, 3.8, and 5.7 months of inventory for single family homes, respectively.